“I could have been eating chocolate waffles this entire time, instead of boring, old, plain waffles? !” was my first thought. Then, WHY had I not thought of waffles with chocolate before this!? 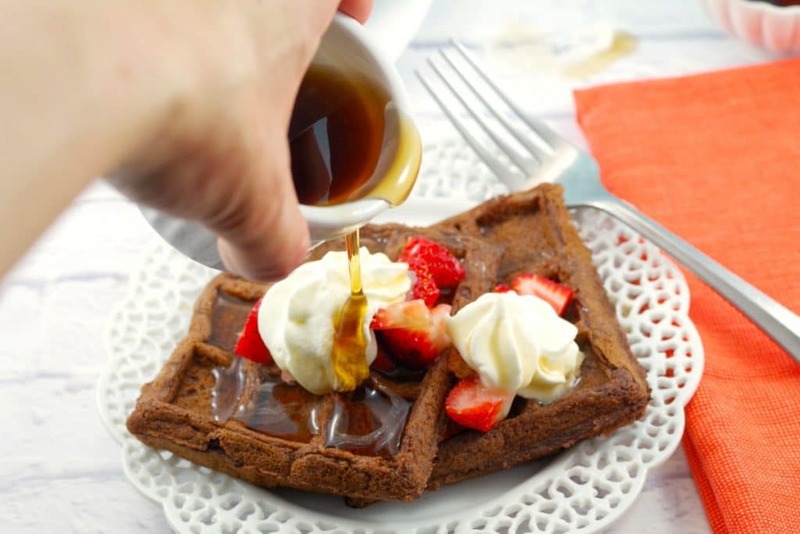 Brunch just got a whole lot better with these Weight Watchers Friendly Belgian Chocolate Waffles in your life! Because chocolate makes everything better, especially when it’s perfectly acceptable to have it for breakfast! After I had been making this waffle recipe for many years, one day it dawned on me, that I could easily make them into chocolate waffles by substituting some of the flour with some cocoa. This notion has completely revolutionized breakfast, brunch and waffle eating in my little corner of the world. And the kids were completely blown away the morning I set these chocolate waffles down in front of them, instead of the usual boring old plain waffles. I could have kicked myself! All those wasted years…. I am not just a huge fan of chocolate, I require chocolate. And most women I know feel the same way. I’m not the only gal at work that has an ’emergency chocolate’ stash in or around her desk. And that’s exactly why these chocolate waffles are the perfect Mother’s Day breakfast or brunch recipe. Older kids can make them for Mom and little kids can help Dad. This is such an easy waffles recipe and although it involves beating egg whites to a stiff consistency, once you do it, you’ll see how simple it is (See VIDEO instruction in NOTES in recipe). And the whipped egg whites really are the magic in this recipe; it’s as if they lift up the batter, making it light and airy and elevating it to an entirely new level of deliciousness! Belgian waffles are known for their large, deep, square pockets that you can fill with yummy things like butter, jam, or maple syrup, while regular waffles are thinner. Because of these deeper pockets that hold all that yummy stuff, Belgian are most often served with additional toppings like berries and whipped cream. Belgian waffles are also known to be lighter and fluffier, making them thicker, thanks to a yeasted batter or in many cases, the addition of baking powder (like in my recipe). And Belgian waffles are generally larger than regular waffles in diameter and have to be made in a special Belgian waffle iron. You can read more here! if you are interested. 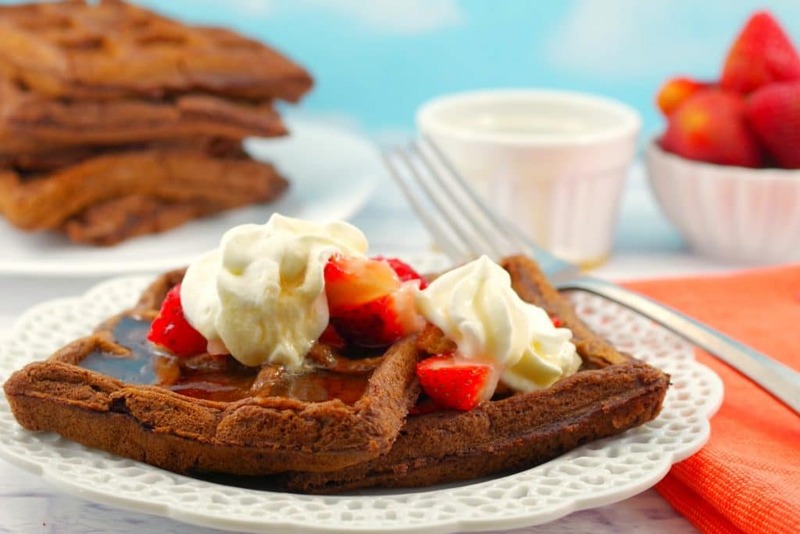 These Chocolate Belgian Waffles are a little bit of an indulgence, but if you (or Mom) are following the Weight Watchers freestyle program, they are only 7 Weight Watchers smart points per waffle (before the toppings). And if you plug “Belgian Waffles” into your WW calculator, you’ll get 14 points for the restaurant variety. I top them with fresh berries and a little light whipped cream and little low sugar syrup, so it keeps the points down for the toppings. And I’d say that’s pretty good for a Weight Watchers chocolate indulgence! But that’s the beauty of Weight Watchers, you (and your Mom) CAN still eat these! You (or Mom) won’t blow all your weekly points on this treat and Mom deserves a treat on her day. So, go ahead and treat Mom to a no-regrets, chocolate indulgence this Mother’s Day. And don’t waste years of your life (like I did) eating boring old, plain waffles when you could have been eating Chocolate Belgian Waffles! If you are looking for additional Mother’s Day brunch ideas, here are a few! When my Belgian Waffle Maker finally dies, this is THE ONE I am getting! 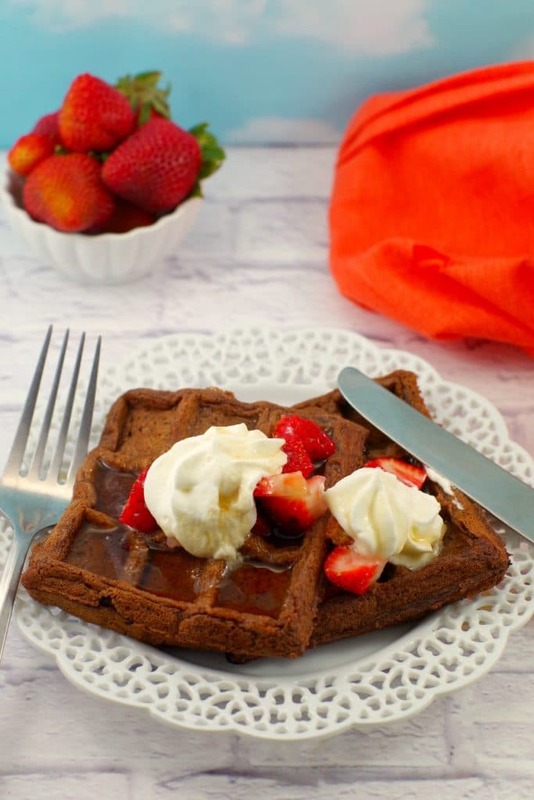 These scrumptious Belgian Chocolate Waffles are a delicious and simple brunch or breakfast idea! The magic is in the addition of the whipped egg whites, which make them extra light and airy. 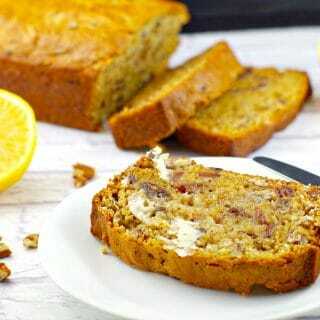 They can be made ahead, frozen and popped into the toaster for a quick breakfast! They are also Weight Watchers friendly Belgian Waffles @ only 7 smart points per waffle! Stir flour, cocoa, baking powder, salt and sugar together. Whisk milk and vegetable oil with beaten egg yolks. Beat egg whites until stiff but not dry (SEE NOTES) and fold gently into batter. Spray heated waffle iron with non-stick cooking spray and cook on hot waffle iron until done. Add your choice of fresh berries, whipped cream and syrup. Although topping are optional, they really make a huge difference in taste. These toppings go so well with these chocolate waffles. And the toppings are part of what distinguishes Belgian waffles from regular waffles. NOTE: I will make up this whole recipe and freeze any left over waffles. They freeze well, then I pop them into the toaster to get them a little crispier again. This post is par of theCountry Cook’s Weekend Potluck! I love it that these are the lightened version! I wonder if apple sauce might replace some of the oil to shave off another point or so? Hi Dawn – Yes, it’s totally divine….And I agree -coffee is the perfect pairing. I make lots of vanilla flavored coffee to go with it! “Chocolate is not optional” is going to be my morning mantra from now on! Lol! Great recipe, and thank you for explaining the difference between regular waffles and Belgian waffles! And I’m glad you found that explanation between the types of waffles helpful! We eat waffles pretty regularly at my house, but I don’t often make chocolate ones – I’ll have to spice things up this week!